The picture below is of the inflorescence from a plant of Common Barberry (Berberis vulgaris) growing on Park Downs, Banstead. It is a species I had never seen before and is regarded as an archaeophyte in Britain, a long-established alien. It is not particulary common. Although the individual flowers are small (~1cm diameter) they are rather attractive with the large club-shaped stigma. On Park Downs it has an interesting/amusing history. A number of plants had been known to be present over many years and it is said that when voluntary conservation work started about 20 years ago they were given the task of clearing scrub to give these plants a bit more space because they were being shaded out. The only trouble was that they didn't appear to be able to separate this species from more common chalk scrub plants and when they finished work they had cleared the lot, Barberry and all. This story is apparently true and it was assumed that the plant was lost from the site. However last year Roger Hawkins found this individual growing in deep shade that, despite being about 2m tall and having plenty of flower, would be diffcult to find unless you knew where it was. Nice to know at least one survives! 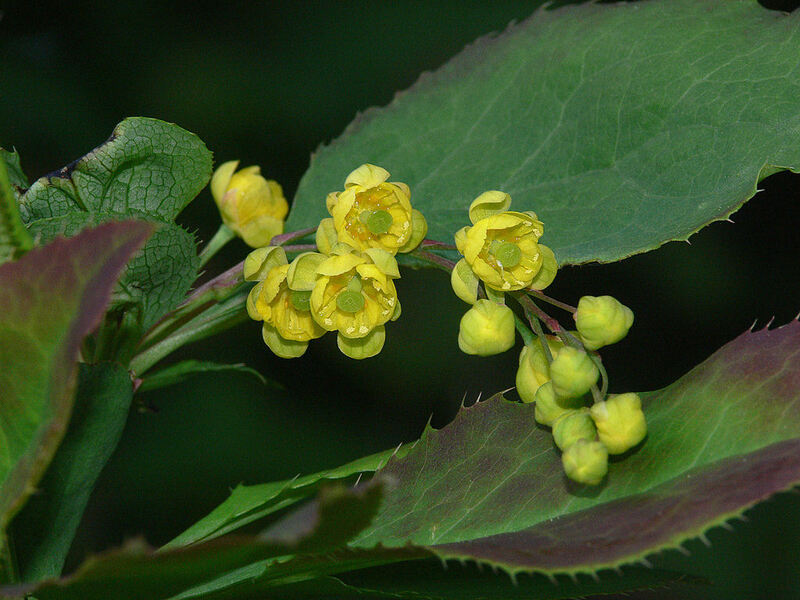 The flower of barberry was quite attractive and adorable to look at.